I’m tired. It has been a long day of traveling, a long week of dealing with my father and insurance companies and rehabs. A week away from my babies, my husband my BED! All I really want to do is take a shower right now and then sit with my kids relaxing on the couch cuddling. But I feel the need to write this post now while it is all fresh in my head. While it is raw and I am still able to hear the words that were spoken in my head clearly. I still am not sure how I could possibly have had two so completely different experiences happen to me within an hours time. Yet I did! I am a talker. When I am forced to wait in line I tend to seek out others you know to commiserate with, make the time go by faster. The TSA line in Miami was huge so of course when the woman in front of me engaged me in conversation… I gladly chatted back. I am not really sure why but for some reason I mentioned how the last time I flew I was with my children and well we did not wait in that long line as we were taken to the front once I told them that my son had autism and could not handle an hour wait. This sweet stranger in front of me smiled at me and said… “My grandson has Aspergers!” Needless to say the hour wait it took us until it was our turn to have our tickets, bags and body scanned flew by. After all I was talking to a fellow CLUB member. I told my new friend about this blog and then we parted ways, each of us off to catch our separate planes. While sitting at my gate waiting until boarding time I could not help but feel like that was a good sign… a nice welcome back to my WORLD. Perhaps that is why I felt so blindsided but what happened next? 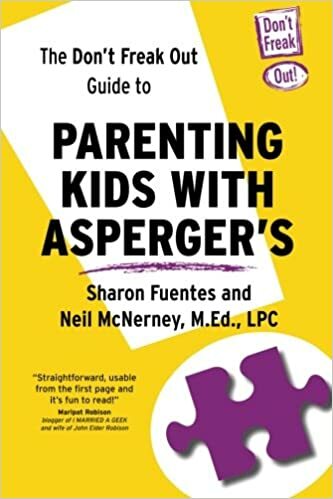 “Yes I am quite sure that he is WONDERFULLY Autistic and that I am blessed to know him.” then I opened up my book and started reading and did not say a word to her or husband the rest of the flight. When I got home after all the kisses and hugs from BOTH my children I felt the need to tell them what happened on the plane. I never want my boy to be ashamed of who he is, but I also want him and my daughter to understand how so many people out there just don’t get it. After telling my tale Jay patted my arm and said, “Mom you let your anger get in the way of educating someone.” Then he walked away! I have no nice tidy ending to this post. My son said it all. My Wonderfully Autistic eloquent wise beyond his years son said it all! I truly am blessed to know him!